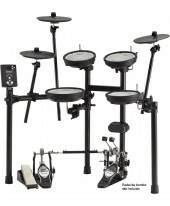 Bateria Digital Roland TD-1K V-Drum Set. Cor: . 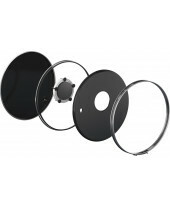 Set compacto com módulo TD-1. 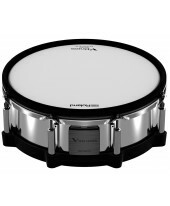 15 kits de bateria e 15 músicas. 10 funções para treino e metrónomo. Display em led. Interface USB para sequenciar MIDI. 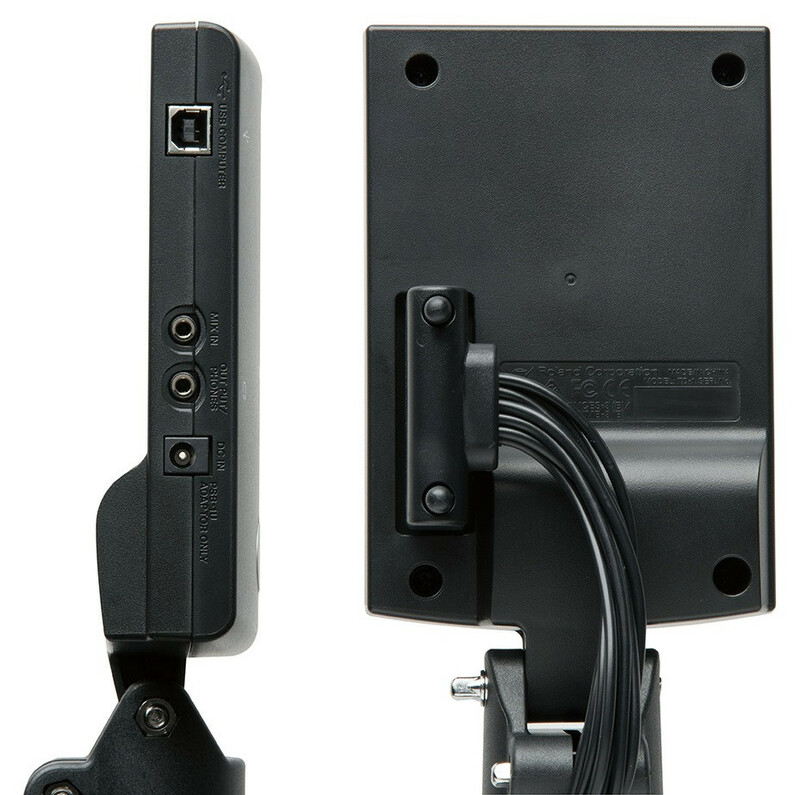 Entrada auxiliar (em mini stereo jack) e saída para auscultadores / sistema de som partilhada (em mini stereo jack). 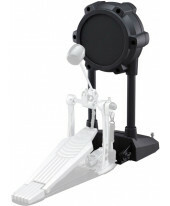 Conetor trigger para ligação dos pads: 1 tarola, 3 timbalões, 1 crash, 1 ride, 1 prato de choque, 1 controlador de prato choque e 1 pedal de bombo. Possibilidade de ligação de prato (OP-TD1C) adicional. 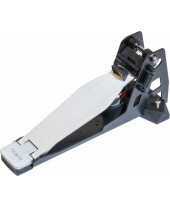 Pedal de bombo silencioso. Dimensão: 800 x 700 x 1,150 mm. Peso: 11.4 kg. 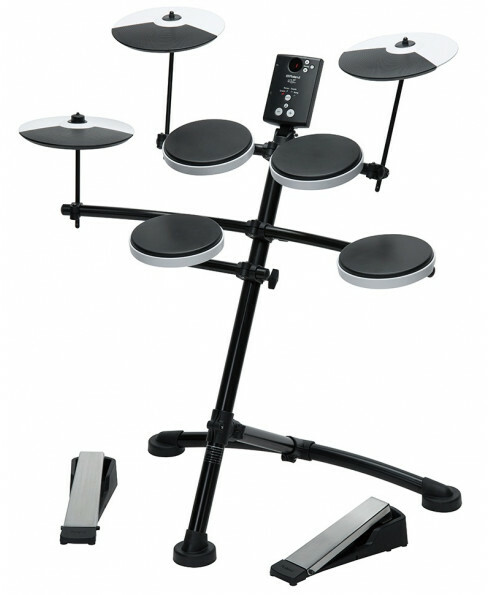 Ideal for everyone that wants to enjoy drums at home, the TD-1K offers a wide selection of expressive drum kits for playing any musical style, plus fun onboard training and recording functions for building your skills and checking your progress. 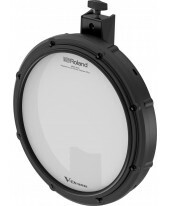 And as a Roland TD-1K owner, you’re not just starting an exciting musical journey— you’re also joining the V-Drums family, a group of discerning players that includes the world’s finest drummers and percussionists. 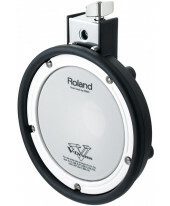 An acoustic drum kit needs to be set up to play a specific style of music, so you’re stuck with one type of sound. 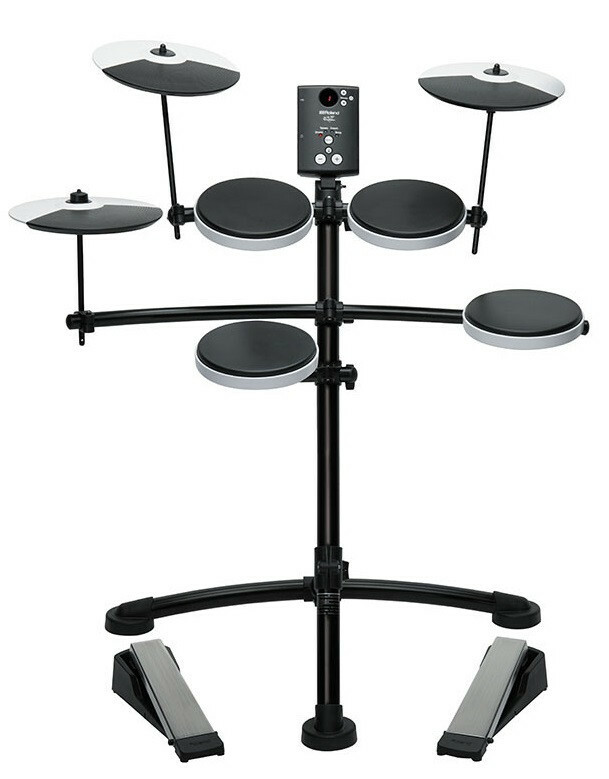 But that’s not the case with the TD-1K—it includes 15 quality drum kits on board, so you can play any kind of music you want at the touch of a button, from rock and blues to jazz, world music, EDM, and beyond. At one practice session, you can rock hard with a heavy bottom-end sound, then instantly change kits to recreate the sound of your favorite band. Every kit reacts just like the acoustic and electronic kits they emulate, giving you a huge range of variety in one compact, standalone instrument. 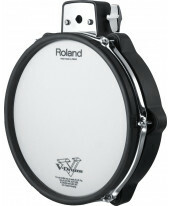 Some drummers avoid electronic drums; worried they won’t play like their acoustic counterparts. 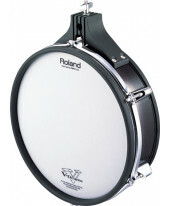 There’s no need for concern with the Roland TD-1K—it fully supports essential acoustic playing techniques, which is especially important for beginners to learn to play correctly. 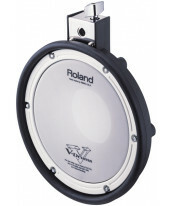 Every drum sound offers a wide dynamic range and natural tone, and the pads provide a full range of natural expression. 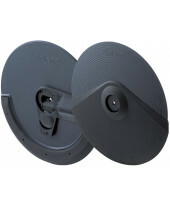 Unlike typical entry-level sets, the TD-1K’s cymbals include the advanced expressiveness found in all TD-series V-Drums modules, including bow and edge sounds and support for cymbal chokes. 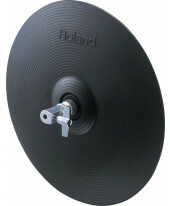 The hi-hat reacts to the nuances of your footwork, bringing personality and character to your playing. Great drumming is all about feel, and so is the TD-1K. 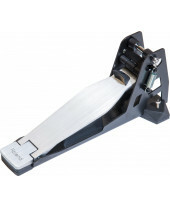 As your playing takes off, you don’t want your drum kit to hold you back. 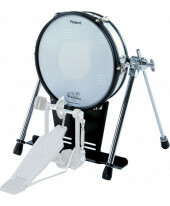 The Roland TD-1K can grow with you, thanks to a range of optional extras that let the kit advance with you. 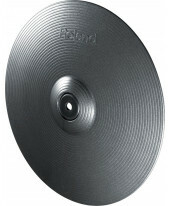 You can add an extra cymbal with the additional OP-TD1C Cymbal Pad, or swap out the standard kick pedal for the KT-10 or KD-9 models used in Roland’s more advanced V-Drums. 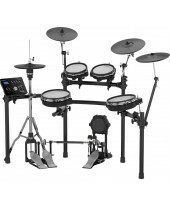 With other accessories including the NE-10 Noise Eater, TDM-3 V-Drums Mat, and PM-03 Personal Drum Monitor, the TD-1K is an electronic kit that will go the distance. The TD-1K is not just fun to play by itself—it’s also a great way to make music with your computer. 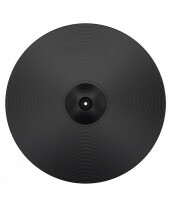 Included is a built-in USB-MIDI interface, making it simple to communicate with music software via just a USB cable, with no extra hardware needed. Maybe you’ll transfer your playing into your computer-based recording software, capturing a live drum feel in your latest masterpiece. 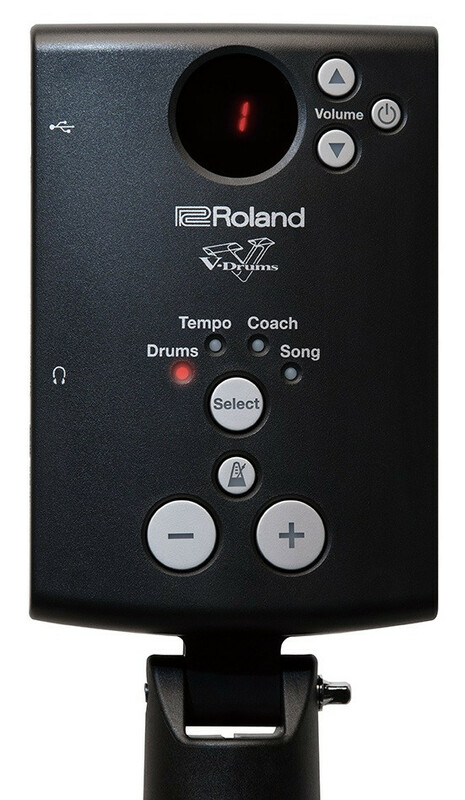 Or perhaps you’ll use Roland's free V-Drums Friend Jam series applications, which offer jam tracks, practice features, and the ability to compete with V-Drums users across the planet. 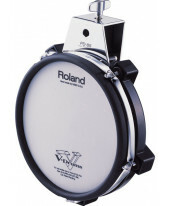 For more in-depth education, the powerful DT-1 V-Drums Tutor provides a fun, dynamic platform for learning notation and essential drum techniques. 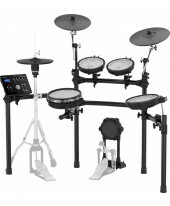 Whatever application you chose, the TD-1K is a drum kit that lets you go places. If you think that electronic drums are complicated, think again—using the TD-1K is as simple as it gets. With its clear layout, the control panel lets you access all functions quickly and easily, and you can see info at a glance with the LED display and the metronome’s flashing tempo indicator. 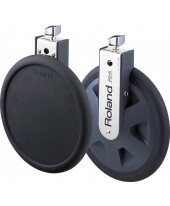 *To upgrade TD-1K to the TD-1KV, PDX-8 V-Pad (sold separately) and MDH-12 Pad Mount (sold separately) are needed.